Anti Fed Ed Warriors, as “National School Choice” Week is about to begin, look out for massive amounts of cow chips to be flying. We’ve seen how the U.S. Secretary of Education has spun ‘school choice’ recently. Also, we can more than likely expect another Presidential Proclamation in support of “National School Choice” Week as well. Watch for your local and State leaders to jump on the fallacy-filled bandwagon, too. Warriors, we know the problems of the federal government overreaching into the classrooms of ALL choices via ESSA (Every Student Succeeds Act). We also are fully aware of the massive amounts of P3s (public-private partnerships) overreaching in the classrooms of ALL choices via the CCSS Machine. So, what do you imagine could possibly go wrong when the CCSS Machine-driven agenda for workforce based education (aka: CBE/OBE, competency/outcome based education; CCR, College and Career Readiness; CTE, Career Tech Education; and, STEM/STEAM: Science, Technology, Engineering, and, Math/Science, Technology, Engineering, the Arts, and, Math) meets a state and local government level? The Evidence Is In The Email? Yes, Warriors, your eyes saw what mine did, a ’21-st Century take’ on the one-room school house has turned into the “one-school-agenda-driven-jobs-institution”. To access NC’s Constitution, Article 9, go here. Warriors, don’t simply read Section 2, look at all of Article 9. Warriors, if you’d like to read the General Statute 115-521, find that here. Again, notice the pecking order when it comes to what type of school is to be built, not necessarily what goes on IN those schools. In the closing pages of the NC House Appropriations presentation (embedded above), note that part of the plan appears to be to expand the NC State Constitution’s use of public schools. Use for what? By whom? Has anyone noticed and questioned or protested (if applicable)?! How can the State be so blind as to take so much care of how a school is built and not what type of federal/P3 overreach happens on a daily basis? Why are the local citizens so happy to embrace new construction funds without seeing the CCSS Machine agenda in the way the buildings are being built? Warriors, according to the NC House Appropriations Committee presentation, the General Assembly’s plan for offering a “Needs Based Public School Capital Fund” relies on 3 items. a) A Statewide Bond (oh, boy, ballooning debt by the time the Bond expires); b) Lottery Allocations (The current Needs Based Public School Capital Fund is from existing Lottery money. However, a quick look at how NC’s Lottery has been questioned before now, should leave us questioning how is the Capital Fund different); and, c) Local Option Sales Tax (that’s right, coming from a State with one of the highest taxes, NC citizens will have to give even more. Careful NC legislators, over taxing the people while muting their voices is called ‘taxation without representation’. Warriors, I know there have been several everyday parents, grandparents, and guardians who have shared on social media their shock at the way the new schools are being built. Some have referred to them as ‘prison like’, some have seen the schools from the inside and gasped at the cluster-desk groupings, the open classes where no books are in sight, and more. Here’s an architecture company’s take on why schools are looking more and more like anything BUT a traditional school for academics. Also consider the past evidence I’ve shared with you about ‘open classrooms’ and how they are a brain child of the UN (United Nations). The evidence from the UN was found in Brazil in 2009 and 2011. Note that the tone of the 2011 document is all about IT (Information Technology). In the document, IT drives not only what is taught, but the types of tests (assessments) AND the buildings constructed to reflect all this 21st Century ‘improvements’. The kingpin for all this is SEL, Social and Emotional Learning. Here’s the article I featured all this in. The tone for the 2009 document is open classrooms bring peace to everyone in the room. It’s more SEL, Warriors. What’s more is the article, I featured the UN Report in, shows you a NY State modern classroom which employs the 21st Century open classroom. Warriors, as always, look at what is going on like this in your State. Chances are, thanks to the CCSS Machine, that activities cloaked in goodness for local education, may just turn out to be an illusion. Just like ESSA’s treatment of ‘school choice’. 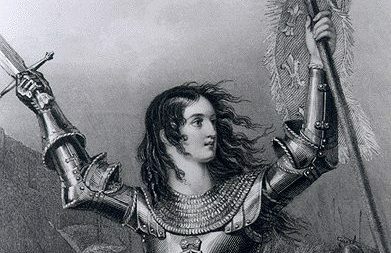 Warriors Against the Core, when I last left you I shared that I would look into HOW Congress has set aside funding to continue the ramming of fed-led-ed down our throats. While it appears everyone is focused on the Presidential race, we should note that it is Congress which holds the reins on not only making legislation BUT appropriating our tax dollars to carry out said legislation. Case in point: ESSA (Every Student Succeeds Act) is going to take money (and lots of it) to be fully implemented. Above, I brought up the digital aspect. Several anti CCSS Warriors, have as well. In my “Sorry, Mr. Babbage” article, you were able to see how the infrastructure of America is being remade for the overall goal of the CCSS Machine: culture shift. You hopefully, could see all the dots being placed around us and how the lines to connect them are becoming bolder and bolder every day. So how will the 2017 Appropriations fit in? Let’s see what we can glean from the evidence. Warriors, that is JUST the first page you see!! So, what else is this Report hiding? Below is a short list of hidden federal overreaches in education. b) Topping the priorities: biomedical research. Biggest ‘winner’? NIH (National Institutes of Health) I first wrote about the educational overreach via the NIH back in 2014. It has not only continued since then, but has increased its overreach, thanks to Congress. What is becoming more obvious is that the Affordable Health Care is being embedded in not only education, but every aspect of our lives. Knowing how ESSA and its mandates include using students, teachers, and families as research subjects, this is a very big area of concern! d) CDC (Centers for Disease Control) and SAMSHA (Substance Abuse and Mental Health Services Administration) also get boosts of taxpayer money. Thanks to ESSA and its abuse of Title One funding in addition to the RTIs (Responses to Intervention) and Behavior Intervention and Management, as well as the data mining/tracking, our schools are absolutely in harm’s way of more federal overreach in education. How? ESSA plainly states that anything and everything..as long as its in the name of ‘student success’ is permissible; thereby open to being funded..with OUR money! e) From page 4 of this 269 page document, you’ll find the summary of education funding. Page 5 begins the WIOA (Workforce Innovation and Opportunity Act) overreaches. If you’ve missed how ESSA embeds WIOA, I’m including my search results for the many articles connecting not only these two, but how they will change our lives and how HEA (Higher Education Act) is also embedded in both. Page 6 starts the ‘evidence based’ rhetoric. 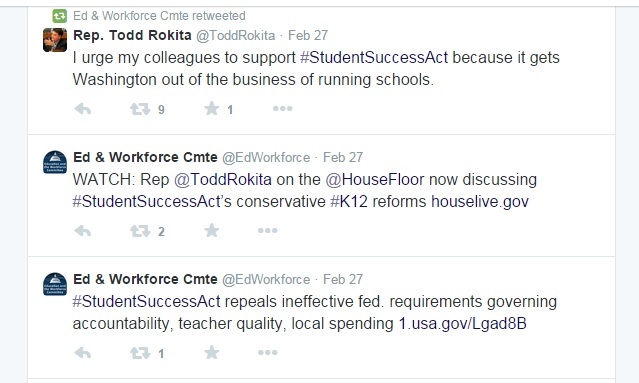 As if the Committee needs to justify its overreach into workforce based education! At the bottom of the page, be sure to see how the infrastructure is to change via the States. Page 19 begins the Labor Dept.’s statistics measuring. You know, Warriors, much data collection, sharing, and possibly selling of our information, will be found here. Page 21 discusses our U.S. military vets. Yes, even their education will be federally micromanaged. What a horrid way to thank those who sacrificed so much for our freedom. At the bottom, look for the technology upgrades. Page 23 (mid way down) begins the Dept. of Health/Human Services details. There’s lots to see in the pages which follow. Look for post-secondary mental health ‘upgrades’ and the nurses education alignments. Don’t forget the Rural Health Care. Then go back and consider how S 3190 fits all this. Below, is what I found on Page 55. Notice how the Collaboratives are buried among the other health issues. I pause to ask questions, Warriors, where is the respect for the Constitution and the students? Why are WE the People not afforded flexibility when it comes to how our hard earned tax dollars are used? Page 60 reveals all the Brain Initiative participants. Page 95 begins the Early Learning ESSA related mandates. Look for Preschool Development and more. According to this Report, ESSA mandates that the Dept. of HHS (Health/Human Services) oversee this new education shift. Page 96 begins the Community Development Grants. These are wolves in sheep’s clothing as well. Page 109, would you believe a National Health Care Technology Information Official? Check it out for yourselves. There’s sure to be massive amounts of data mining there. Bottom of Page 127 begins the Promise Neighborhoods. Many of the Anti CCSS Warriors have exposed how this ties HUD (Housing and Urban Development) to the CCSS Machine. Promise Neighborhoods will also be used as a ‘marketing tool’ for ESAs (Education Savings Accounts). Watch for it. It’s already happened in a few States. Will I delve into the Senate’s similar Report? If there is one, you can bank on it, Warriors. 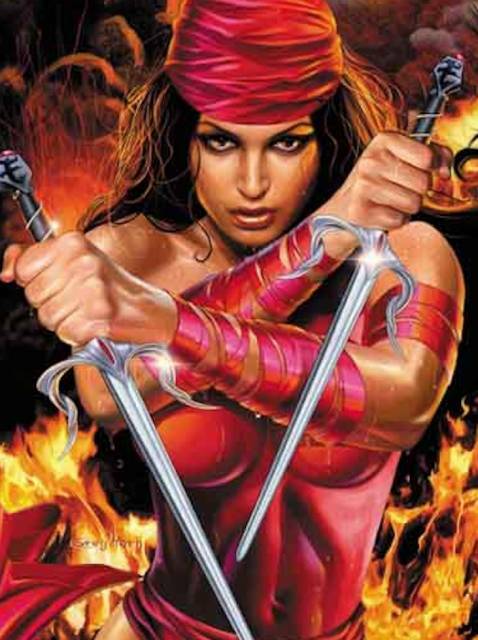 Warriors, while there is more I could share, I feel we must use what’s above to act quickly. In some States early voting has begun. Do we really wish to vote in candidates who support all this illegally based movement in America? 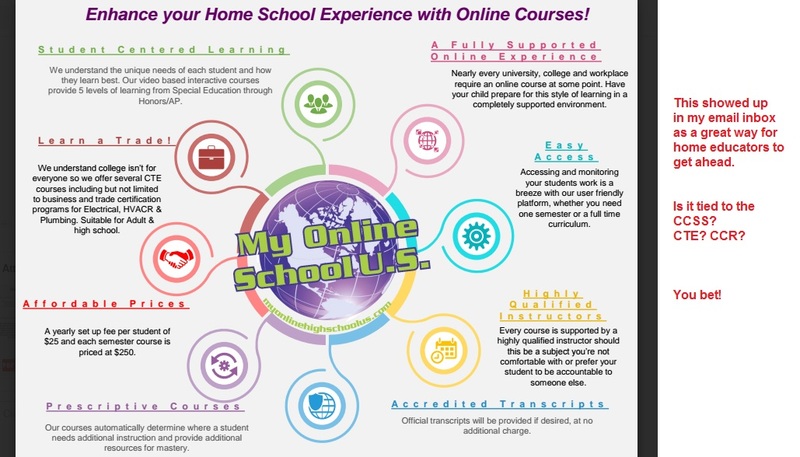 iNACOL Comes to Home Education?! 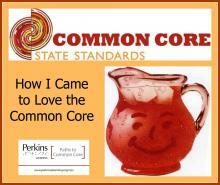 Legislators, Politicians, and Businesses appear to be CCSS/CTE Kool-Aid Distributors! For this first “Weekend News” of 2016, I wanted to focus in on how much CCSS (Common Core State Standards) and CTE (Career Technical Education) is still alive and thriving across the nation. As most of you (anti CCSS Warriors) know, I reside in NC. As you can imagine, NC, like all the other States, has several legislators, politicians, and other various groups completely sold out to the educational alignment that spans from birth to career. It has been well documented just HOW sold out NC is. I won’t bore you with the dreary details or name names. I would rather focus in on the information we can use as tools to FIGHT this continue assault on education and our citizens! So what news do I have which has me re-visiting NC’s moves?! On January 7, 2016 (just yesterday) there was a release by the State Board of Education (SBE). This Resolution is to support the Governor’s alignment plans for a workforce based education system. Basically it is an announcement to the world that proclaims all things CCSS, Common Core State Standards is right for NC. Below is a screen shot. Please, click on it to expand it. Notice that even the fancy font and cursive letters can’t hide the selling out of our state’s education. Here are my key points (from the Resolution) as to what we can use as tools to fight this kind of continued alignment of education. 1) Scrutinize not only your SBEs but your Depts. of Commerce as well. 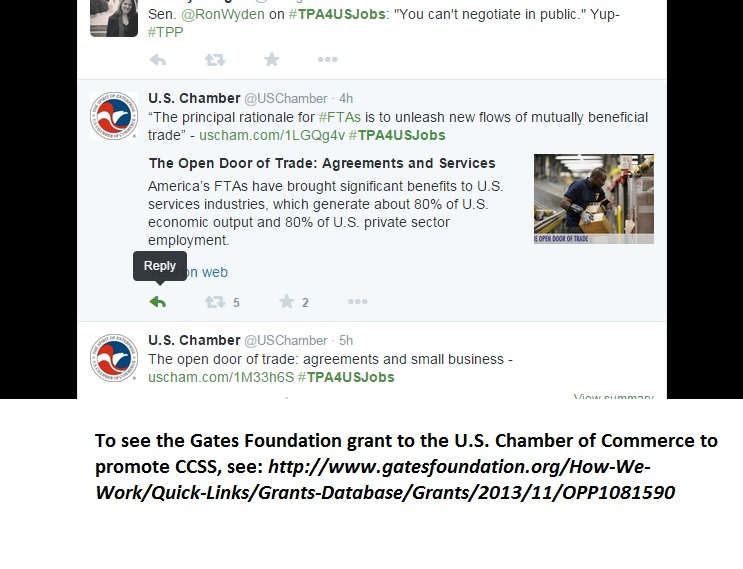 Remember, the Gates Foundation gave the U.S. Chamber of Commerce millions of dollars to use via the state Chambers for the express purpose of involving businesses in the educational alignment! 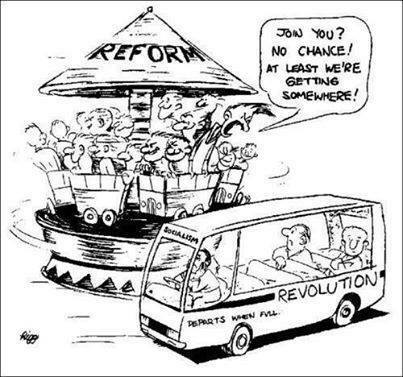 2) Hold accountable any legislator or politician who refuses to listen to the constituents. 5) What measures has your State made for global readiness/global competitive citizens via education? What measures has your State made for CTE (Career Technical Education (which is the adult version of CCSS)? What current laws are in your State’s books which protect CTE? 7) What current legislation supports the continued use of CCR (College and Career Readiness). What legislation is being written or considered which supports the continued use of CCR (CCSS’s ‘newer name’) What evidence is your State ignoring (which has proven CCSS/CCR as developmentally inappropriate) to justify continuing this harmful education which is based illegally into law? Below are just a few of the articles I have previously researched and published which directly relate to the Resolution the NC SBE presented not only our Governor, but our entire state’s population. You got lots of work to do, as do I, so use what I have provided above. Share it, there is a time for everything, and it is our time to step on the toes of those legislators, politicians, and businesses which have taken education to a level that is not only harmful, but criminal. In this special edition for my Tech Thursday posts, I wanted to focus on how the CCSS laced HR5 Bill is being touted by not only the U.S. Education and Workforce Committee, but by the Business Round Table group as well. Even if this particular Bill dies, another one like it isn’t too far down the pike. Big bucks run big companies. Big companies back HR5. So does D.C.
You’ve got to love social media when fighting CCSS. It keeps you so up to date on news you might miss. My case in point for today’s article is the tweets I saw cross my Twitter in the past couple of days. As Washington has heated up about HR5, those who support it from the Workforce side, are taking every opportunity to promote, shout, and tout how superb HR5 is for America. 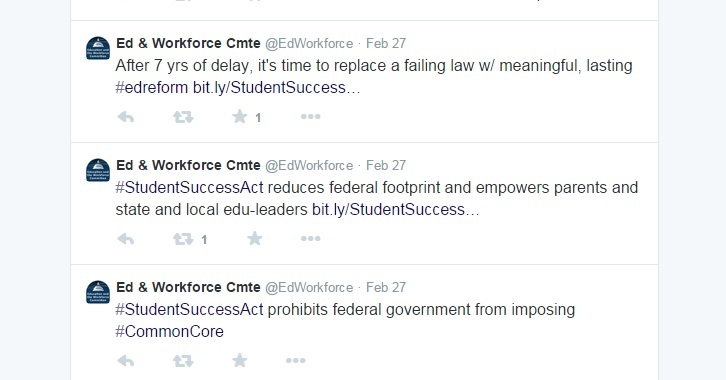 Follow the Ed and Workforce Twitter feeds, you’ll find out all kinds of info! No hiding who’s supportive of CC and HR5. Perhaps the biggest support for HR5 came from the Congress itself via this infograph. Remember, fighting CCSS means focusing on all the areas it’s embedded. Workforce is definitely CCSS aligned! Not to be left out, the BRT (Business Round Table’s been harping on not only the need for better economy (meaning more ‘talent supply’), but how HR5 can help out. Here’s a screen shot featuring CCSS. It makes sense BRT would back more jobs…means bigger profits. According to the BRT Twitter feed more jobs for America means more international trade. I guess our US companies will do anything to be ‘global’, including selling out our education. 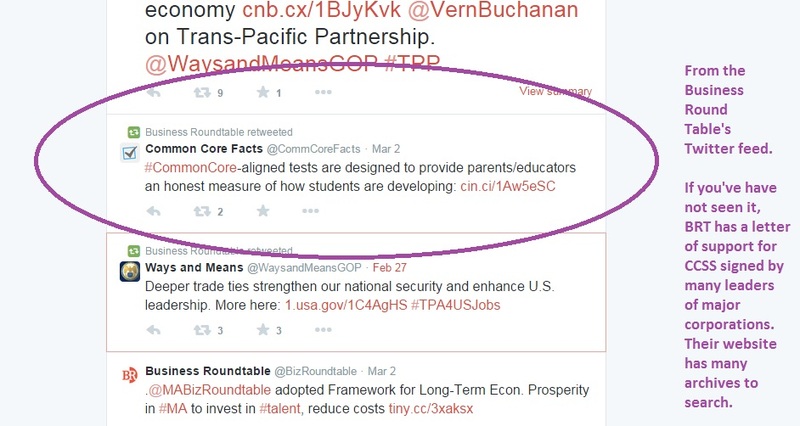 If you noticed the TPA tweet above the CCSS one, great. The TPA is more Trade Promotion Authority legislation. I guess given that America’s most recently past trade legislative pieces have worked so well, we’re being pushed for more. In the vein of CCSS, more jobs, more alignment. So ‘win-win’, I suppose. Backing this effort? The U. S. Chamber of Commerce. Remember them? Paid millions by the Gates Foundation to promote CCSS. In my January 2015 post titled, “RMT: Will You Help?”(See: https://commoncorediva.wordpress.com/2015/01/18/rmt-will-you-help/) I laid out what was in store for all students, regardless of educational choice OR age, IF the legislation passes. Here, again are some of the biggest nuggets. Buried in the legislation and tied to the Perkins Funding/IDEA funding, CTE will be locked in. Even if HR5 dies, don’t think those in favor of an aligned working population will stop. Legislation supportive of all kinds of CCSS alignment is ripe in D.C…and in our state’s backyards, too. Page 280 via the “Rural Education” plans will also cement a CCSS aligned CTE working force. To see how your state is becoming trade ready via Career Pathways, Career Tech Education, search for something along the lines of ‘trade expansion workforce career path’. When I did, I got results from all over the U.S.A.